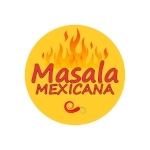 Let’s start by wishing a very happy birthday to 2 of our loyal subscribers who have been with us since Masala Mexicana started 8 years ago. Happy Birthday Ruchi and Victor!! Today, we’re making yummy vegetarian tortas. Tortas are the Mexican version of a sandwich, using bolillos, which are crusty split top bread rolls. Similar to sandwiches, tortas can be as simple or as fancy as you want. For this torta, we’re using an Indian-inspired vegetarian patty made with potato, paneer, peas, onion, tomatoes, and spices. I made this patty without bread crumbs because I’d rather eat my bread in the form of bolillos. When you’re making the patties, they will be very sticky before you cook them and you’ll feel tempted to add bread crumbs - they are not needed for this, trust me! Your hands will get messy but the patties will be ok. If you want to add bread crumbs, go ahead but they do dry up the patties a bit. Now, let’s talk bread. I’ve mentioned before that there aren’t any H-E-Bs, Mexican grocery stores or panaderias (which are most likely place for you to find bolillos) near our house. I got my bolillos from Walmart, they were the last 2 in the bin and weren’t very good, the crust was a bit soggy and the bread was starting to go stale. I made it work, but looking back, I probably should’ve substituted with fresh French bread which is different in shape but very similar in flavor and consistency. So, if you can’t get quality bolillos where you live, try this with French bread. Confession time: There is a little something extra that I put in my torta and left out of the recipe since it wasn’t the original intention to include it… beans! I had some leftover beans in the fridge so I heated them up, mashed them and spread them on the bread. Rajma (Indian beans) could also be used. For toppings, feel free to add your favorite sandwich toppings. I’m not a big fan of lettuce but I love arugula and I thought that it’s natural spiciness will bring an extra depth of flavor to the torta. Any leafy green would work, really. I also used avocado, tomato, and Mexican crema because in my humble opinion, every torta needs those 3 elements. Mexican crema is not the same as sour cream, so if you do substitute, the flavor profile will change. Crema is not as sour and is thinner than sour cream, if you can’t find it, creme fraiche is the closest substitute. Again, tortas are versatile, feel free to experiment. Last, I always have a can of pickled jalapenos ready for tortas. Truth be told, I only eat the pickled carrots and the juice that squirts out of the pepper, but if you’re feeling brave, I’ve been told that nothing pairs best with a torta than a spicy, crunchy pickled jalapeno. Hope you enjoy these tortas. Please send us your comments, we love to hear from you. Buen provecho! 1. In a food processor, pulse the potatoes, paneer, cilantro, and salt. You’ll have a very sticky mixture, don’t worry, that’s ok.
2. On a medium skillet with cooking spray, sauté the onions and serrano on medium heat until soft. Add cumin powder, garam masala, pav bhaji masala, turmeric, garlic, and salt. Cook for 30-45 seconds until the spices release a pleasant aroma. Add the peas and chopped tomatoes and cook until the tomatoes have changed color and are fully cooked. 3. In a medium bowl, combine the potato/paneer mixture and the cooked tomato/pea mixture and allow it to cool until you can handle it with your hands. 5. Heat a non-stick skillet and add cooking spray. Cook the patties on medium heat until golden brown (mine took about 3 minutes), flip and cook the other side until golden. 6. Cut the bolillos in half, lengthwise. If you want, you can remove excess bread from inside the bolillos. 7. Lightly toast the bread on a grill or toaster (optional). 8. Place a patty on the bottom side of the bread and add the toppings (arugula, avocado, sliced tomatoes, picked jalapenos, crema, salt and pepper to taste). Hint: If you have leftover beans in the fridge, heat them up, smash them and spread them on the bread under the patties. You could also do this with rajma.